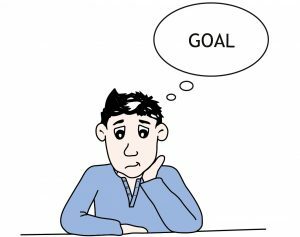 There are two important factors in accomplishing goals and having the kind of life we want. The first is intention, i.e. a plan/wish of what it is we want to do. The second is attention: where we put our focus. Both need to work together for us to move in the direction we want. Think about what your values and priorities are. Be connected with the different parts of who you are…physical, material, spiritual, career, relationships, etc. Too often the intentions we state are done out of duty or what we “should” do. We need to pause to decide what we really will focus on, not what others are telling us. Your attention should then be focused on what you WANT, NOT what you DON’T WANT. If you focus on the negative (“I don’t want to date negative people anymore”, “I don’t want to work so many hours”, etc. ), you are putting attention on exactly the wrong things. Learn from past mistakes. Don’t dwell on them or put yourself down, but do reflect on them to make needed changes. Before moving and doing, STOP and EVALUATE. Pause from action and FEEL. This helps you differentiate between what you “should do” and what you are feeling drawn to do. Be connected with the energy of manifestation. We create our reality. Break down big goals into achievable parts. Everything has steps. Rather than saying “I want to achieve X this year.” Break it down into AàBàCàDàEàààà So, for example if you want to eventually lose 20 pounds, you need to think about the various things it will take to get there rather than being overwhelmed by the big goal and therefore disappointed in yourself. Start with one change you need to make. So, A might be cutting out sugary drinks, B biking to work, etc. Pay attention to external signs. Don’t always fight the way things seem to be leading. The phrase “no pain, no gain” does not serve us well. Life is not about fighting. Yes, you do need focus, action and movement to make things happen. But, too often we think in terms of struggling against external factors which might be showing us a different path. Write it down. Write your intentions in positive, present tense statements. Create a ritual around it. Write them on yellow paper, and consider “planting” the intentions with the idea that they will grow (you can literally write them on yellow paper, tear them up and put them in soil). The Body & Soul team wishes you a wonderful 2019, full of joy, peace and wellness! Contact us for an appointment with Bibiana to work on goal setting, overcoming obstacles, dealing with relationship and family issues or any other concerns. Our team of multidisciplinary practitioners is here to make sure you have a happy, healthy year ahead. With more than 20 years of experience as a TCM Doctor and internal medicine specialist, Doris treats a vast array of acute and chronic diseases by expertly combining Traditional Chinese Medicine with Western Medicine. She also hast extensive experience addressing women’s issues as well as infertility problems.